I’m mixing it up this week with a focus on specific items at Sally’s Army (Salvation Army, Valencia Street, San Francisco). 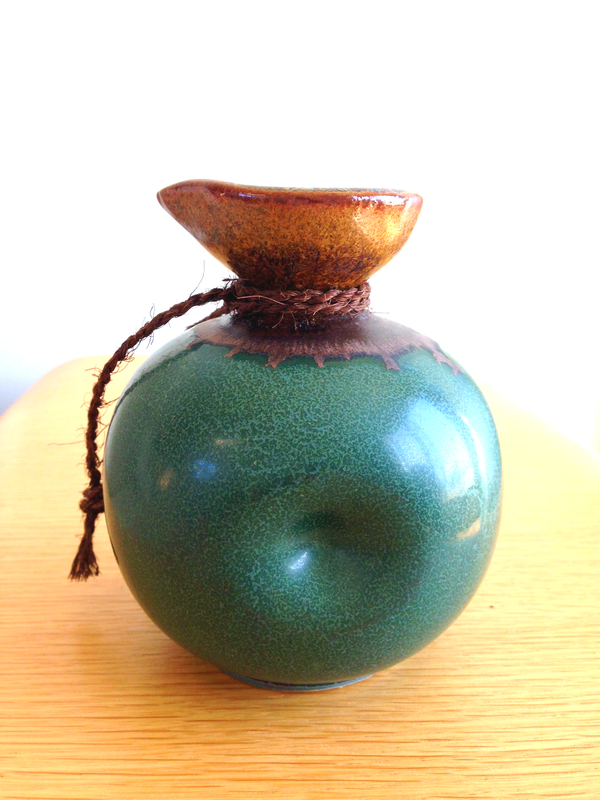 Let’s talk about the fabulosity of sake bottles, or tokkuri. At this point, you’re probably wondering, “what doesn’t she hoard?” Fair question except that in this instance, you can hardly call it hoarding. I only bought 4 of them, people. Not hoarding AT ALL. My love for sake dates back to my love for Japanese design, which is, in my opinion, aesthetically superior to most things. I’m no expert, but my preference is for Ginjo sake. I typically like nigori for chilled sake (cloudy by appearance because it’s less filtered), and more filtered (or clear) sake when served warm. But who am I kidding? I’m no sake snob. I’ll drink anything, at any temperature, clear or not. Actually, my preference is for my sake to be served in a chic ceramic bottle. Ceramics make me weak in the knees. 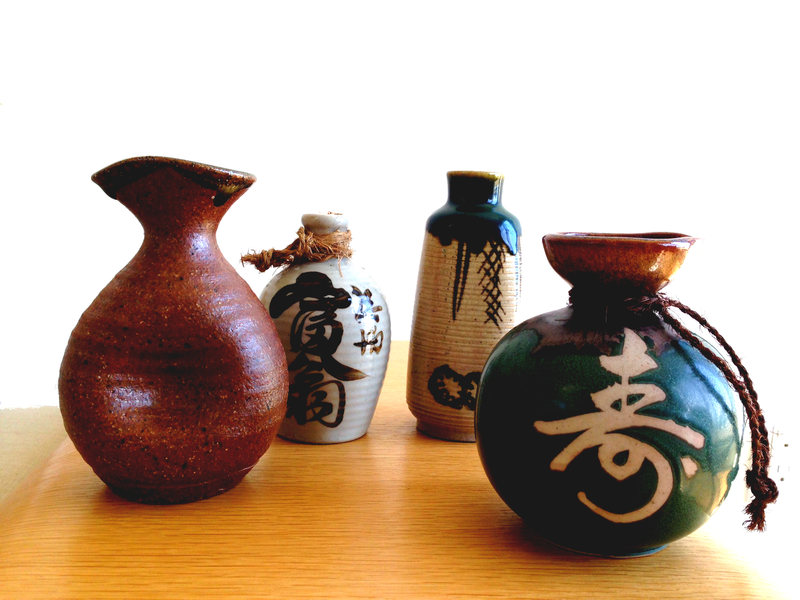 Combine them with my love for sake and Japanese design and boom! Insta-crush. I was incredibly lucky to find a respectful number of sake bottles at Sally’s tonight, to my sheer and utter Japanophile-driven delight. I paid $2 for each bottle. I’m BESIDE myself. LOVE the green on this one. 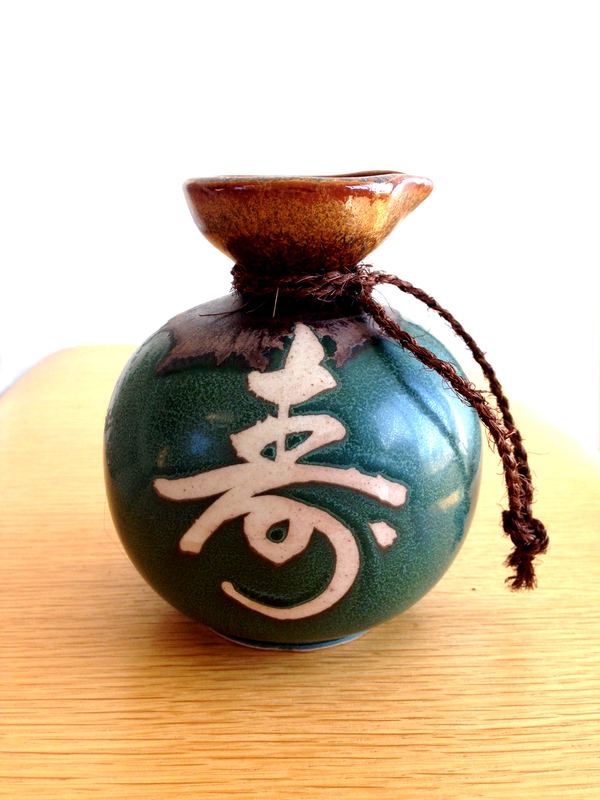 It also boasts my favorite Chinese character: longevity, or “shou.” What you see on this bottle is the simplified Japanese version. 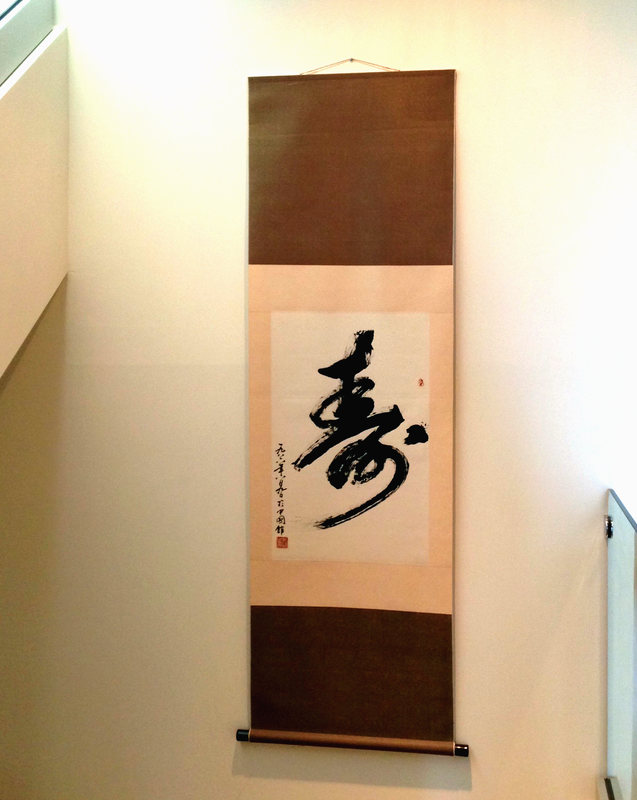 The same character (non-simplified Chinese character) is displayed on a scroll that hangs in our stairwell. Hopefully, this means we’ll live FOREVAH (while remaining youthful looking, of course). The back of the bottle has a little dimple for easy and ergonomically correct carrying. And who can resist a cute dimple? Here’s another pinched cutie I picked up on my visit. I love a speckled glaze, and its shape and subtle ridges make it unique. I’m pretty sure I let out a shriek when I saw my next find. Be still my beating heart. The oozing glaze was almost too much for me to handle. 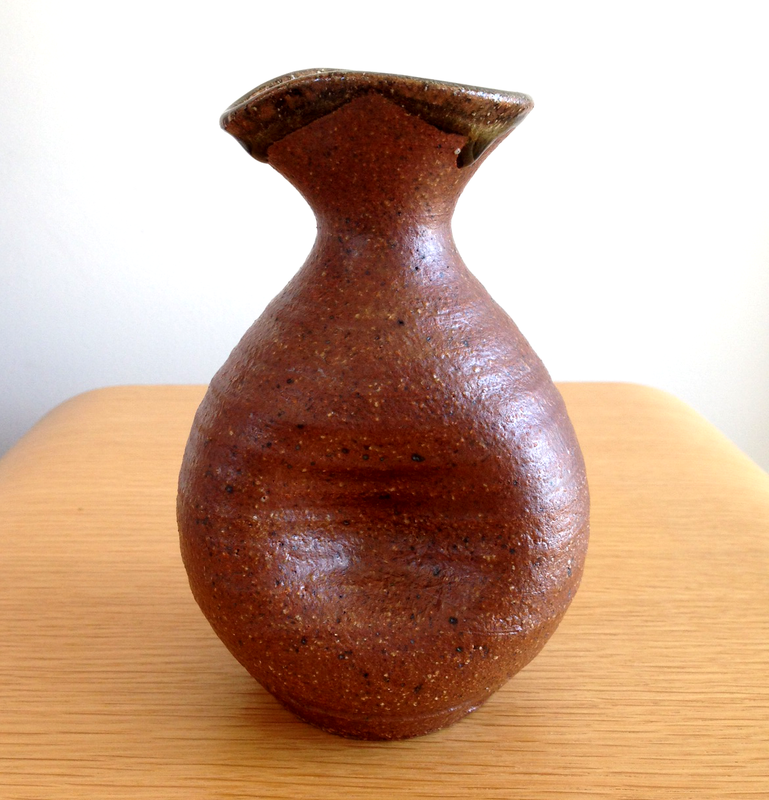 Disclaimer: I’m not entirely sure it’s a sake bottle because it doesn’t have a spout, but who the heck cares? I LURVE it. I’m also uncertain about its age or origin. Perhaps I’ll take it to Antiques Roadshow one day and have it assessed. I dream of the day I appear on the show with one of my Sally’s Army finds and have it appraised at thousands of dollars as I grin and reveal how much I actually paid for it. This one’s pretty common but I dig the calligraphy and the fact that there’s a cork stuck in its neck. Unfortunately for you, I hoarded all of the sake bottles I found today (but I’m sure there are a couple lying around that I unintentionally missed). Fortunately for all of us, I was told by my regular Sallly’s rock star employee that EVERYTHING in the store is an additional 50% off tomorrow, except for the items in the !%@#$^^^ Quality Corner (dayum you, QC). Totally worth a looksie, don’t you think? Sake bottle number one, please!?!? 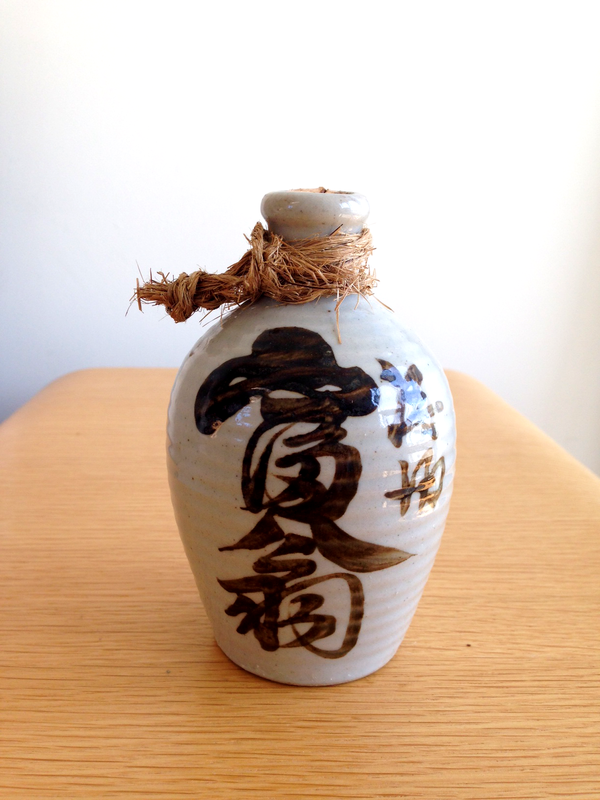 I’m not even into sake bottles….but I am in love with the first. How serendipitous! What a freaking find!!!!! You must be floating-in sake and happiness. I’m floating!! 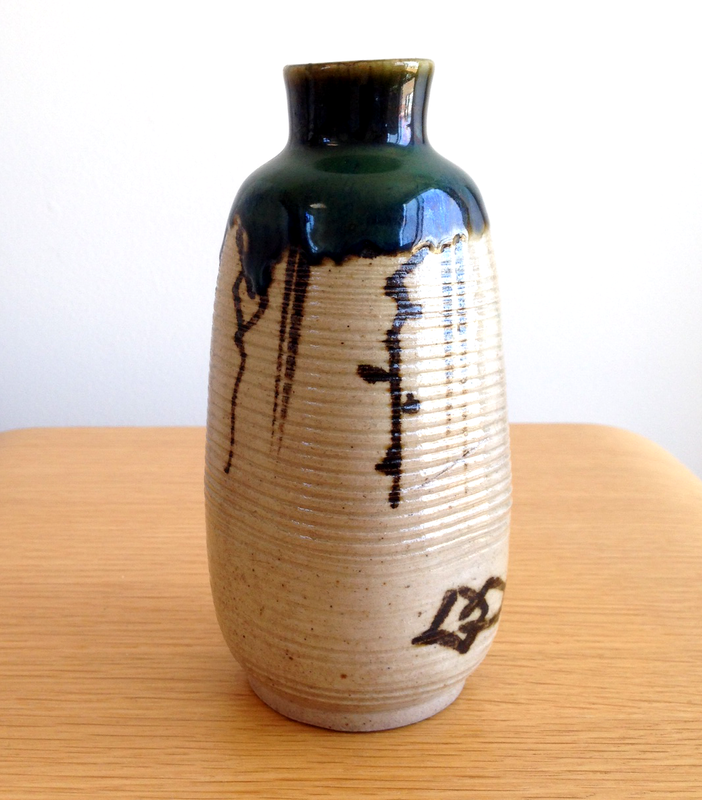 Love ceramics and Japanese design had so much influence on mid century architecture as well as the craftsman and arts and craft movement. Just look at Frank Lloyd Wright’s work!